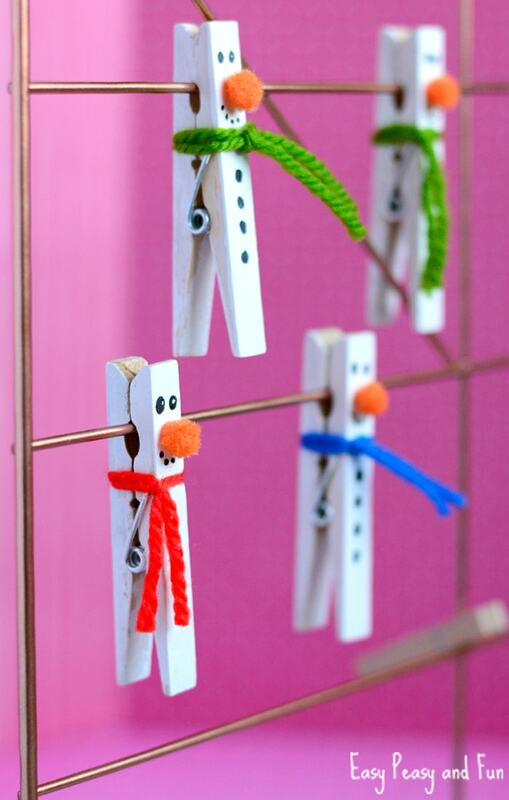 If you think your clothespins look boring, why not give them a quirky makeover? 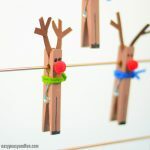 This clothespin snwoman craft is super cute and these little fellows will look great pretty much everyvery, holding your favourite notes, holding gift tags and more. 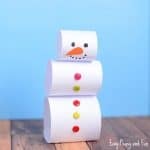 We’ll be using these in the office during winter months to help us keep up with “to do’s” and other important things. 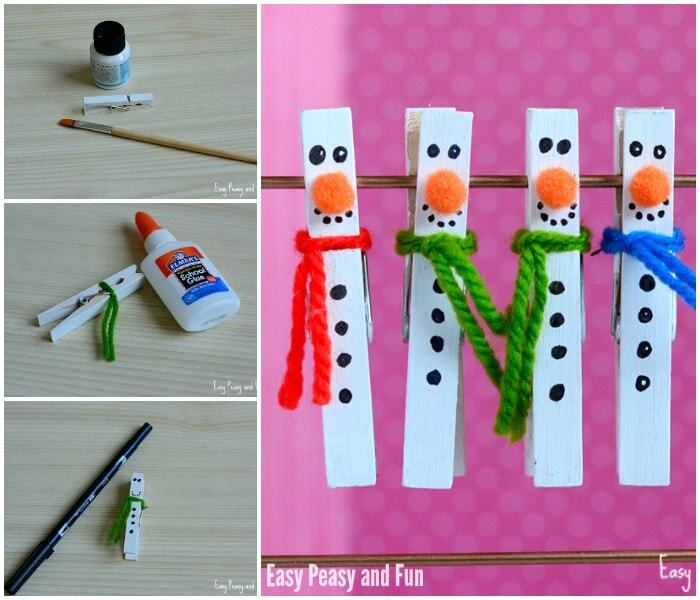 Start by paining the clothespins with white paint. 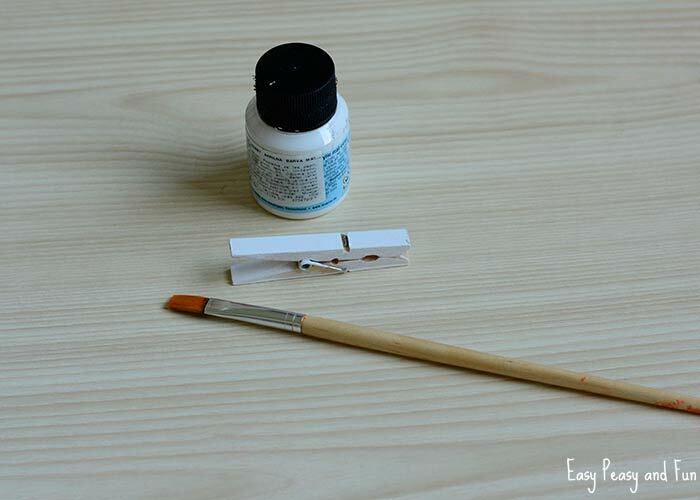 Depending on the wood and paint (and you taste) you might need to do more than one layers. 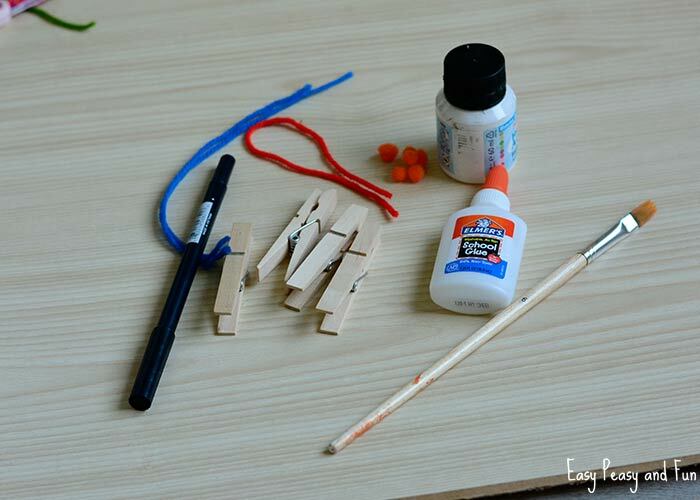 Be careful as the paint can “glue” the clothespin, open it up a few times while it dries. 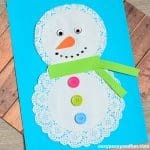 Once the paint dries completely, it’s time to make a scarf. 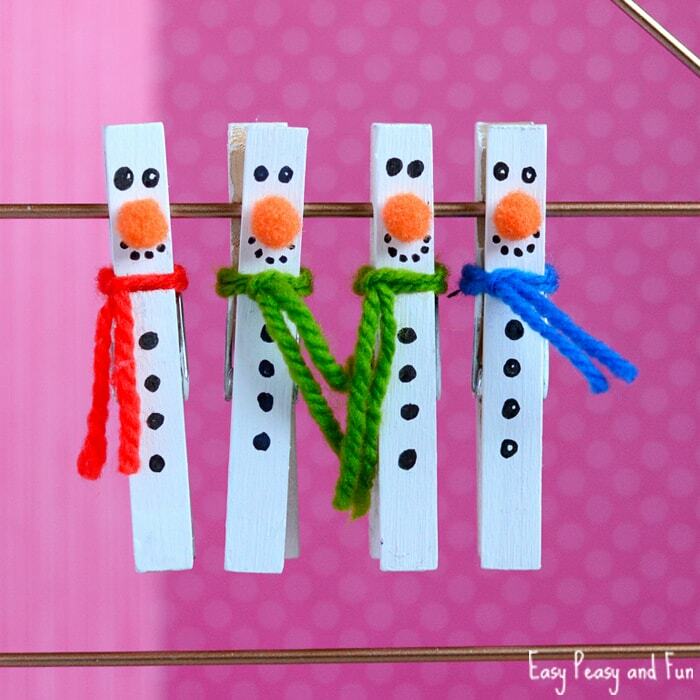 Take a short piece of yarn and wrap it around the clothespin, making a know. 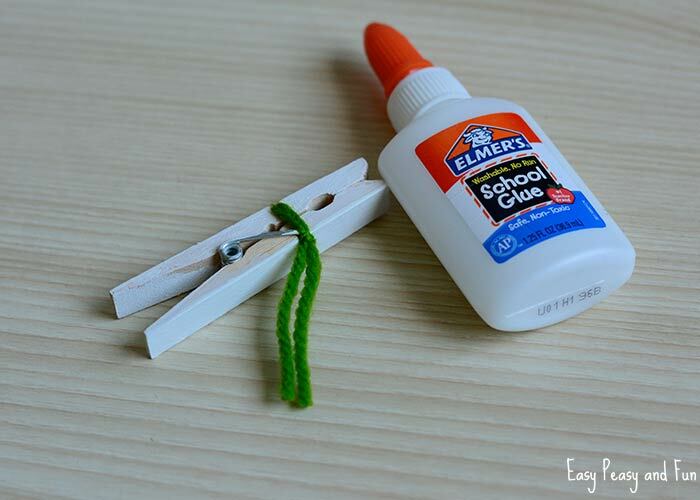 Add a drop of glue to secure it. 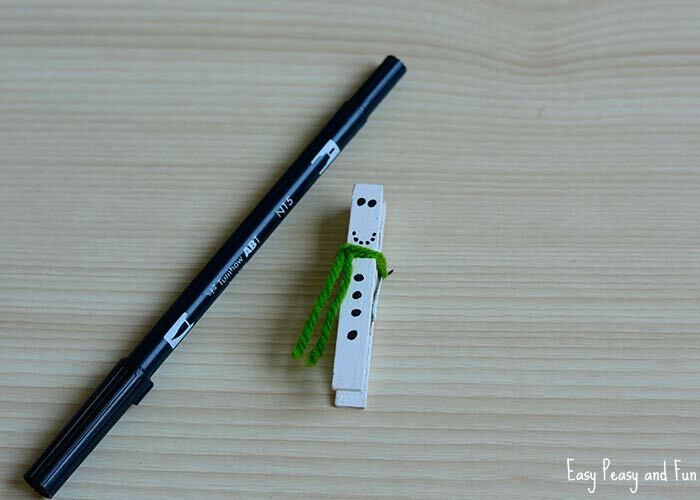 Now take a black marker and draw two black eyes, mouth and black buttons on the snowman body. 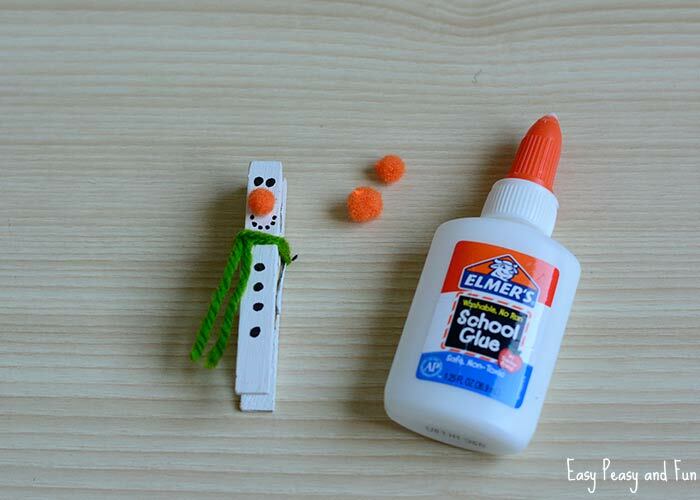 Add a drop of glue between the eyes and mouth and stick on an orange mini pom pom. 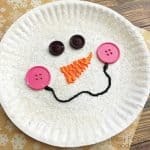 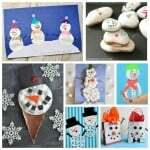 Wait for the glue to dry and your clothespin snowman craft is done.